Europe (to the power of) n was a transregional art project. It tookplace between July 2012 and April 2013 in nine different cities within and outside the European Union, such as Brussels, Istanbul, London, Łódź, Minsk, Novi Sad, Høvikodden/Oslo, Donostia – San Sebastián, and Beijing. Europe (to the power of) n has been made possible through the Excellence Initiative of the Goethe-Institut. The conceptual approach of the project understood Europe as pluralistic, heterogeneous, frayed and full of contradictions.In this perspective Europe has challenging relationships to others, is challenged and challenges itself in itself. It does not defend its identity and unity, but opens up instead. Thus, Europe (to the power of) n addressed a variety of themes, such as community, forms of social organization, frictions and potential upon the encounter of different cultures as well as the impact of mass media and representations of collective subjects. Through both curatorial concepts and works of art Europe is set in relation to others taking into consideration its colonial past, its current migrant imprints and its increasing global interdependences. Europe (to the power of) n was preceded by the study Scenarios about Europe, a collaboration with the Museum of Contemporary Art in Leipzig between September 2011 and April 2012. 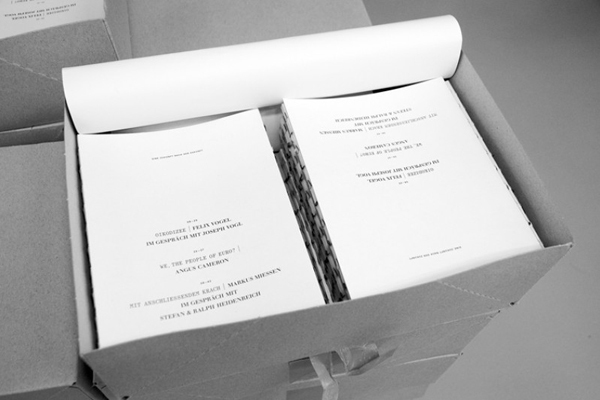 The thirty scenarios conceived by ten international curators form the basis for a variety of exhibitions and events within the framework of Europe (to the power of) n, in which they are exhibited, contextualized and developed. Europe (to the power of) n launched on 6 July 2012 and started with an art festival at the Haus der Kulturen der Welt in Berlin on July 6 and 7, 2012. Europe (to the power of) n was preceded by the study Scenarios about Europe. Initiated by the Goethe-Institut and supported within the frame of its Excellence Initiative, ten curators have been invited to make three proposals each on how to approach the subject of Europe from the perspective of art. 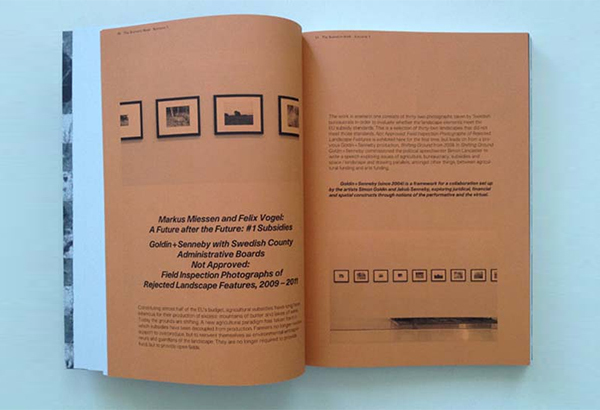 From September 2011 to April 2012, altogether thirty scenarios were developed which introduced a variety of thoughts by artists from within and outside of Europe. 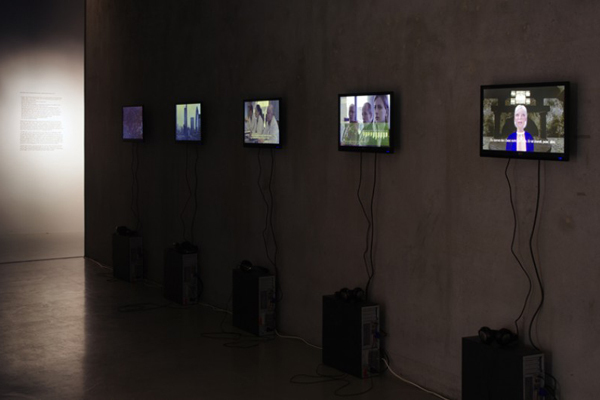 Between January and April 2012 the scenarios were complemented by the format Thinking Europe, which addressed questions about community and the role of art in a greater European context. The process culminated in a conference in January 2012 as well as in the publication of Thinking Europe!, the Scenario Book at the end of the project. It contained detailed information about each scenario as well as essays outlining the ideas of the different curatorial and artistic approaches. The scenario technique is a tool for decision-making. On the basis of existing knowledge, it was employed to provide hypothetical constructions of possible futures. 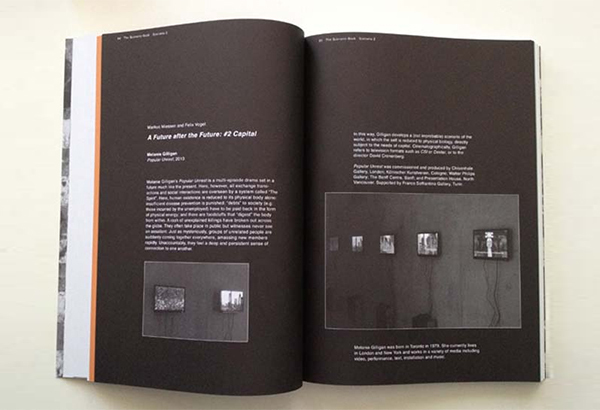 While this technique is most commonly applied in economics and political science, the aspect of imagining alternatives beyond the status quo and the notion of a versatile understanding of future made it interesting for many artists and curators. However, the utilization of empirical methodologies as well as related scientific criteria was not essential to artistic approaches. Instead, the independence from any methodical boundaries allowed widening the notions of scenarios without any restraint. Next to exploring and conceiving future prospects of Europe, testing the potential of the international collaboration was the essential purpose of Scenarios about Europe. The study was conducted by the Museum of Contemporary Art Leipzig. Thinking Europe was supported by the Allianz Kulturstiftung. Europe (to the power of) n was initiated by Sabine Hentzsch, Director of the Goethe Institut in London and Regional Director for Northwest Europe, and Heiko Sievers, Director of the Goethe-Institut / Max Mueller Bhavan in New Delhi and Regional Director for South Asia. 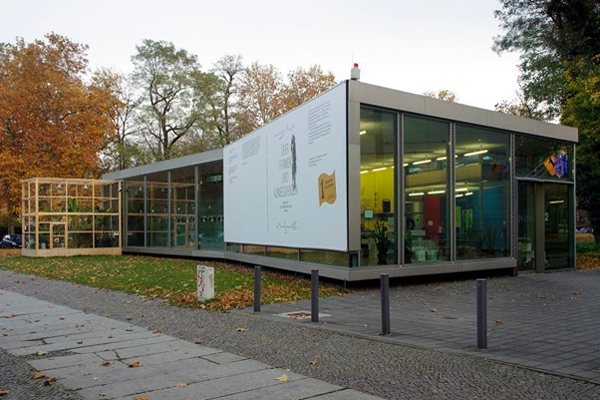 In 2009 they invited Barbara Steiner, at that time Director of the Museum of Contemporary Art in Leipzig, to develop a collaborative project about Europe from the perspective of art. The associated curators had different artistic, professional and academic as well as cultural and national backgrounds. They were artists, philosophers, architects, scientists, or art historians who worked closely together with representatives from other disciplines such as economy, genetics and education. However, all of them shared an interest in new models of collaboration and interdisciplinary working approaches with a focus both on social issues and the creation of communities. The international curators are: Peio Aguirre, Kit Hammonds, Tone Hansen, Jarosław Lubiak / Joanna Sokołowska / Jarosław Suchan, Filip Luyckx, Markus Miessen / Felix Vogel, Lena Prents, Esra Sarigedik Öktem, Miško Šuvaković, Jun Yang. Artistic Director: Barbara Steiner. An understanding of Europe that is pluralistic, heterogeneous, frayed and full of contradictions formed the basis of the project. This Europe that arose from the scenarios is permeable and not closed. This Europe has challenging relationships to others, is challenged and challenges itself in itself. It does not defend its identity and unity, but opens itself up. The partner institutions and venues were: Museums (Muzeum Sztuki, Łódź; Muzej savremene umetnosti Vojvodine, Novi Sad; San Telmo Museoa, San Sebastián) Curatorial Departments, affiliated to Universities (Curating Contemporary Art Department / Royal College of Art, London; Contemporary Art Study Centre / European Humanities University, Vilnius) Contemporary Art Centres (Sint-Lukasgalerie, Brussels; SALT, Istanbul; Henie Onstad Kunstsenter, Høvikodden / Oslo; Taipei Contemporary Art Centre, Taipei) Alternative Venues (Galerie Y, Minsk; Vitamin Creative Space, Beijing / Guangzhou). Others (Office for European Capital of Culture 2016, San Sebastián / Novaja Europa Magazine, Minsk) China's and Taiwan´s participation in this project was to be understood in an exemplary way. Today, the relationship between China and “Europe” can be described as more exposed in comparison to other relationships between European and non-European countries. This is reflected not only by media coverage, but also by political, economic and cultural undertakings. Taiwan was invited because it qualifies China's self-projection as a great, homogeneous and stable block – just as the above-mentioned places challenge the idea of a strong “core” Europe. However, the relationship between “Europe” and China/Taiwan was not the only point of interest, also with and through the works of art Europe was set in relation to others taking into consideration its colonial, non-European past, its current migrant imprints and its increasing global interdependences. And the fact that asymmetry produces winners and losers, dependencies and inequalities, which cannot be seen in an isolated sense in any part of the world, is also manifested by the situation of the Philippine population in Tel Aviv – the contribution of the artist Köken Ergun. So we were not speaking of a self-referential Europe here. In this project, Europe’s culture was clearly embedded in other cultures and could not be understood as a solitary entity. The scenario by Goldin+Senneby is the first scenario curated by Markus Miessen and Felix Vogel within the framework of the Scenarios about Europe project. 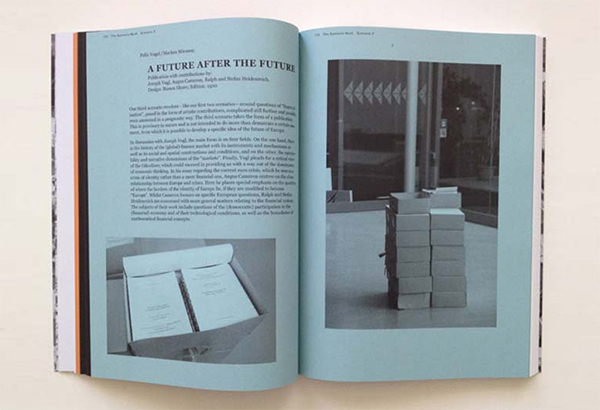 "A future after the future" by Felix Vogel and Markus Miessen in collaboration with Joseph Vogl, Angus Cameron, Ralph and Stefan Heidenreich is the third scenario curated by Felix Vogel and Markus Miessen within the framework of the Scenarios about Europe project. The scenario by Melanie Gilligan is the second scenario curated by Markus Miessen and Felix Vogel within the framework of the Scenarios about Europe project.